The Fashion Show premiered on BRV on May 7, 2009. 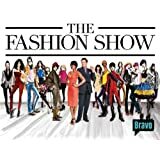 This show follows professional designers as they strive to make their mark in the dog-eat-dog world of fashion and compete for a chance to have their designs sold for the mass retail market. The designers will face off in challenges and have their fate determined not only by the professional judges, but also by a studio audience. In the end, the winner will have their designs available for sale by a major retail outlet.